Lindsay Lohan is ready for the world to know she's moving on with her life. The 31-year-old former child star has been somewhat elusive in recent years after more than a decade at the centre of a seemingly never-ending tabloid rollercoaster with DUI arrests, a troublesome reputation and an equally challenging family. In 2016, she moved to Dubai and has been enjoying a somewhat low-key key life there, but has recently moved her business to Greece, where she's launched a day beach club in Mykonos with a vision towards a national expansion plan. "I’m a normal, nice person. A good person. I don’t have any bad intentions. And my past has to stay in the past," she told the New York Times in a new profile. "Like, people have to just let go of it and stop bringing it up because it’s not. It’s gone. It’s dead. And that’s the most important thing to me." And the Prairie Home Companion actress said she feels stronger than ever to tackle her new business venture after taking some time away from it all, in particular, after ending her engagement to Egor Tarabasov. Two years ago, they were pictured in a physical fight on the same beach where she's launched her first business. One notable night two years ago, police broke down the door to her London apartment after she was heard shouting for help on her balcony. "It happened, here in Mykonos, on the beach. And that was the moment where I switched and I was like, ‘I’m going to take control of my life completely, and fire everyone and just rehire them when I’m ready'. And that’s why I’m here today, because it was on that beach where I got hit. I said, 'You know what? If there’s anything I can do, I’m going to get that beach. It’s going to be my beach.'" "There was this moment where it was like, ‘I don’t really need to be worried about a guy hurting me, I don’t need to live in fear'. Because when women show fear, I feel like that makes us powerless." 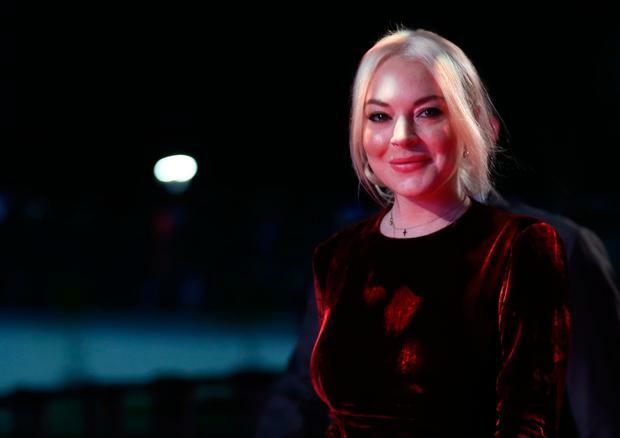 During the height of the #MeToo movement, Lohan took to Instagram to announce her support for the cause and women's rights in general. She said that she hopes for less public exposure nowadays but is optimistic for acknowledgement that she seems to have turned her life around. "I think success is the best revenge — and silence, as a presence," she said. Can you spot these 10 celebrity Photoshop fails?